This Lemon Icebox Cookies Recipe is just the perfect Spring Cookie! I mean, start with the best icebox cookie recipe and add a touch of both lemon zest and lemon juice. Then, for those who love their icebox cookies with icing, an easy lemon glaze provides some added zing. Add a fresh pansy to the cookie and you have a lovely lemon dessert for a special occasion or just an ‘everyday' occasion. 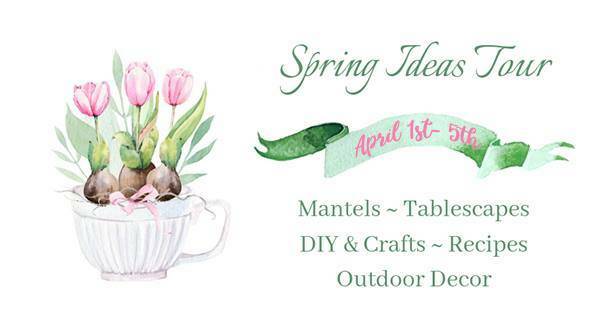 I am thrilled to be joining my friend Angie, who blogs at Postcards from the Ridge, in her Spring Ideas Tour. Over the course of 5 days, 17 bloggers will do their best to bring a little Spring into your home, even if MOther Nature isn't cooperating. After wetting your whistle with these lemony treats, make sure spend some time hopping through the rest of these lovely blogs by clicking on the links at the end of the post. We are planning on having a dessert table with several varieties of finger-sized sweets. In addition to these Mini Vanilla Tea Cakes and Carolina Blue Macarons using my tried and true macaron recipe, I will be making several dozen of this Lemon Icebox Cookies Recipe. It's such an easy recipe which can be made ahead of time, which are 2 key elements of what I'm looking for since we will be holding the celebration out of town, in an Airbnb. You can just slice and bake these iecbox cookies as is and they are delicious. For an added touch, dip them in this tangy glaze. And, if you are really being special, you can top the wet glaze with edible flowers, like pansies. Any way you serve them, they will be a hit. This Lemon Icebox Cookies Recipe is the perfect Spring Cookie. I mean, start with the best icebox cookie recipe and add a touch of lemon zest and lemon juice. Then, for those who love their icebox cookies with icing, an easy lemon glaze provides some added zing. Add a fresh pansy to the cookie and you have a lovely lemon dessert for a special occasion or just an 'everyday' occasion. Combine the butter, both sugars and the lemon zest in the bowl of a stand mixer and beat on l until smooth, stopping occasionally to scrape down the bowl. Add the whole egg; beat on medium speed until well incorporated, then add the yolk and beat until incorporated, stopping occasionally to scrape down the bowl. Add the flour/salt mixture and beat on low speed just until incorporated. Divide the dough in half, flatten dough into disks and wrap in wax paper or parchment paper. Refrigerate until firm, at least 30 minutes and up to 5 days. Preheat the oven to 350 degrees. Line two or three baking sheets with parchment paper or silicone liners. Unwrap the disks and roll dough between 2 sheets of parchment paper to a thickness of 1/4". Bake one sheet at a time (middle rack) for about 15 to 20 minutes, or until the cookie edges are just golden. Transfer the cookies to a wire rack to cool completely. Whisk together the lemon juice, vanilla extract and confectioners' sugar in a bowl, until smooth. Dip the tops of the cooled cookies into the glaze and return them to the rack. If adorning your cookies with fresh pansies, do so while glaze is still wet. Just place a trimmed pansy on the glaze, gently pressing each petal into the wet glaze. Let the glaze set before serving or storing. Can you freeze the icebox cookies after the pansy has been put on them? I am SO glad you asked that! Here's a good and wonderful thing: you can make these icebox cookies from start to finish, including the flower, and freeze them. I was pleasantly surprised that even after 2 weeks in the freezer, the flowers still looked pretty good. This following image is the finished cookie (including the pansy) that had been frozen for 2 weeks and then defrosted. Curiously, it lost its yellow center and the purple/blue definitely deepened, but you could easily make this in advance if need be. All that being said, it is so easy to dip the baked cookies in the glaze and top them with the fresh flowers that I would definitely prefer this option. What are some other edible flowers that you could use to top your icebox cookies? Another great question! 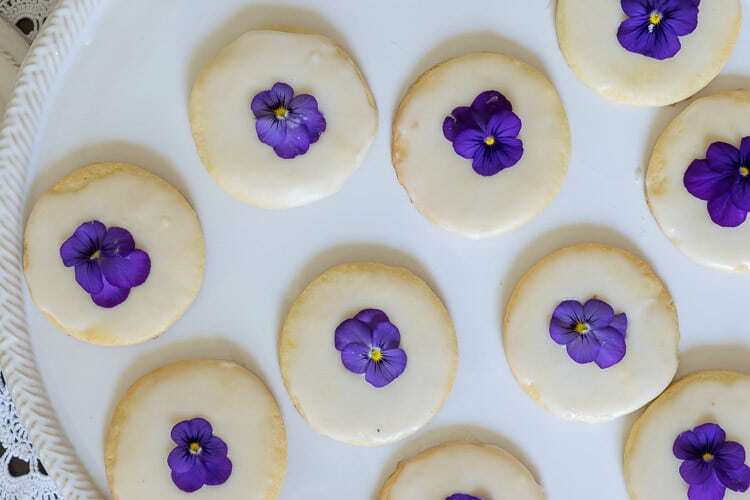 In addition to pansies, violets and borage are would also look lovely on your cookies. Rose petals and lavender buds are another option as well. I love nasturtium blossoms in my salad, but they might be a bit too peppery for a cookie…but that's just a personal preference. Bookmark this page or pin the following image to refer back to this Lemon Icebox Cookies Recipe in the future. Your cookies sound absolutely delicious and they look beautiful with the addition of the pansy. I would never guess that you could freeze a flower on a cookie and it would stay looking beautiful. That’s such a great thing to know if you are baking ahead for a special occasion. I know! I was surprised with how well they froze, if need be. I’m excited to serve them to our graduation celebration! I truly gorgeous treat! I’ve sugared pansies and topped cupcakes before but have never made cookies with edible flowers. Duh! Thanks for the inspiration. I’ll definitely be pinning this one for later. How come I’m not surprised that you have sugared pansies? I clearly need to try my hand at that! These are so pretty! They also look so yummy, I need to make some!! They would pair perfectly with your citrus cookies! Wow, Lynn these are the cutest cookies! I love the little pansies! Thanks Leen…I do love how they elevate the humble icebox cookie to something a tad special. Yum! Not only do they sound good (I love anything lemon), but they are so pretty! I love how you added the pansies on them. Thanks Kristi, it was fun to use the pansies and now I’m looking for more opportunities to decorate with fresh, edible flowers. Hope you have a great weekend my friend. These look and sound amazing. I love lemon cookies and it’s great that you can freeze these! Good luck on your graduation celebration. My girls both graduated last spring so I feel your pain and excitement. Thanks for joining the tour! Two graduation ceremonies at the same time? Yikes!! I’ve got enough on my hands with just one! But these are tasty little treats! They will be just perfect for any celebration. Yum! I love icebox cookies and if they have the tang of lemon with that yummy glaze on top, all the better! 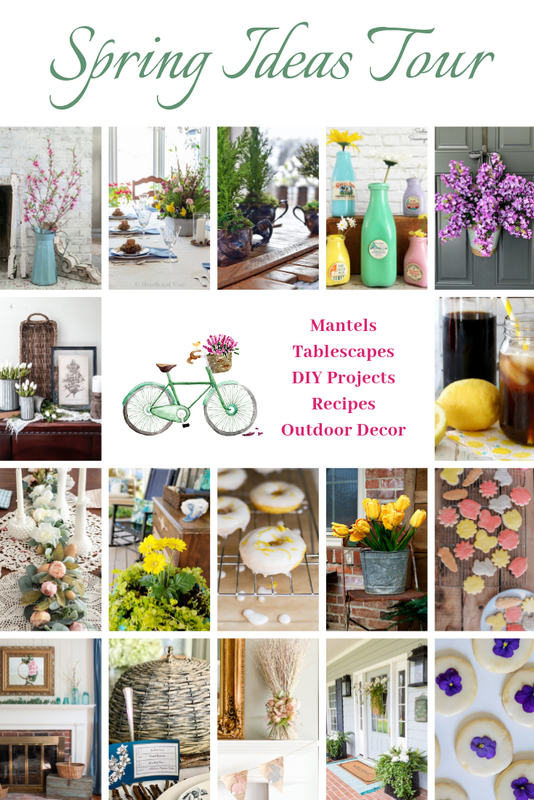 I’m just starting to plan for a grad party, too…luckily not until mid-June though…and at my own house;) Pinned this to my Sweet Recipes to try board! They will be perfect for your grad party too. I love that they can be made ahead as much as you would like. And yes…lemon does make everything better. These are a perfect treat for summer. So l night and elegant. I love ANYTHING lemon and can’t wait to try. Thanks for sharing. They truly are perfect for spring/summer entertaining. Love that they can be made ahead. This looks like the perfect easy cookie to make for Easter weekend around the house! Pinning for reference! They will look lovely on your Easter table for sure! I love, love, love these pretty lemon cookies! Perfect for Spring celebrations! We will be enjoying them for my daughter’s upcoming graduation celebration, in addition to your lemon bundt cake! Such a pretty cookie. Pinning. I love the flowers on top. Thanks Maria! The flowers give them just a little something! Thanks for visiting! So pretty, and so much yum! You are too right…SO MUCH YUM! Oh my, You just upped my cookie game. Elegant and delightful. Thank you for the recipe and inspiration to create something so beautiful. Not only is lemon one of my favorite flavors, but these cookies are so pretty! How gorgeous would they be on a dessert tray for a special spring event?! With your flowers and these cookies! The PERFECT Springtime table. Oh I love lemon. These have such a simple, but elegant look. Great for those upcoming events. Sometimes these over the top cookies and cupcakes are either too expensive, or too time consuming. Most appreciate something like these just as much. Saving for my sweet eating husband. Oh Rosemary, these are so simple to make! Truly. A simple cookie with a pansy garnish…that’s pretty much it. But it’s that classic, ‘the whole is greater than the sum of the parts’ thing! Lynn we have a lemon farm back in Greece and I always took them for granted. Now I look at the price tag on them and complain. But I would still love to try one of your lemon cookies because they look so delicious. Oh Mary, I bet! Lemons and limes are just too expensive! When you got back home, you will surely appreciate all your lemons. And then, these cookies will be the perfect sweet to make!